Meno means good, min means grain or seeds. Menominee is a native American tribe of the USA. 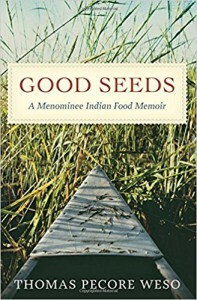 These Native Americans are surely not only Good Seeds, - like also the title of this book - but part of the Woods. I don't know you but everytime I read a book written by a Native American in this particular case by Thomas Pecore Weso and published by Wisconsin Historical Society Press my sensation is the one to read a magical book. Surely an absorbing and enchanting reading. Mr. Weso loves in this book to remember the glorious past of his tribe and his family and I find it fascinating, because it is a trip in his personal story and the one of his family through food. For of course not forgetting and always remembering what it means the past and what it became his reality going on. He describes a very big family, with a big tradition for....eating more or less as he specifies in various part of the books, all the possible food existing on Earth thanks to the connection her grand mom had established with the Catholic church of his town. 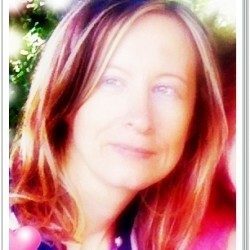 She attended it and so to her canning food, using diversified food, not a problem at all. But Menominee are also famous for being great Bear Hunters in particular the men of his family and every year remember Weso they organize a big lunch all dedicate at this special meat. Menominee loves also fishing, and every sorta of other hunting. No one of course hunt for killing but for bringing food on the table so in the past it was a primary necessity for men. Of course herbs and fruits, like apples but also many many other kind of fruits of interests for this family during the proper seasonal period. At the end of every chapter you will find delicious recipes that you are more than invited of trying for preparing delicious meals. A chapter I loved the one of maple syrup. I adore maple syrup! I drink it with water it's the only way I use it I confess but I love also to explore the most diversified utilization in the American culture. I also love the description of the customs of Weso's Native American tribe. I find most of them suggestive, from their religion, - Thomas' grand dad allergic to embracing any kind of other religion apart the Native American one (he was different from his wife but I love to remark he left her wife free to enjoy our religion), superlative, and plus he was a medicine man so it says a lot -, to their living, their days, their traditions, their food. I know that if I will visit one day the USA I would want to stop by for lunch at the house of Thomas Weso family because I am more than sure that I could eat a good American lunch for sure! Go for this book if you love to remember the past, as Weso adores to do with great joy and passion and if you want to understand much more the life, compassion and great heart of the Native American tribe of the Menominee that, I discovered thanks to this book. This book, I am more than sure will enchant you from the first page for its purity, sincerity, story-teller structure and because it is written with the heart and with the desire of leaving an imprint and a good memory in the History, and culinary traditions of this big country: the USA. For sure this one can be also a perfect gift for Christmas or for a birthday for your children and for let them understands the story and local culture. The cover: yes, it's beauty but I would have picked up another picture, because to me this one is not strong and happy enough for describing the content of the book. I thank Netgalley for this book!